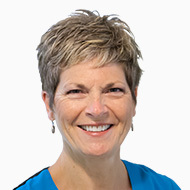 Michele graduated from Dental Hygiene at Confederation College in Thunder Bay, Ontario and has been a team member at the Cholakis Dental Group since 1998. She worked hard at gaining the trust of her longtime patients and cherishes the relationships she has formed. She has done this while educating them on ways to improve their oral health. In her free time, she loves spending time with her grandchildren and family, especially when it is at the cottage. More recently, she has achieved her goal of becoming a yoga instructor. Sara graduated from the University of Manitoba, School of Dental Hygiene in 2003 and has been a team member at the Cholakis Dental Group since that time. Sara’s passion is helping to improve her patients’ oral health. When she isn’t delivering the highest quality of care and comfort to her patients, Sara is kept busy with her two small children and also enjoys gardening in her spare time. Meghan began her career in 2005 with the Cholakis Dental Group as a dental assistant working in all dental specialties. Wanting to expand her knowledge in the dental field, she furthered her education and graduated from the Canadian Institute of Dental Hygiene in 2008 in Hamilton, ON and receiving her certification in Block and Infiltration Anaesthesia from the University of Manitoba in 2009. 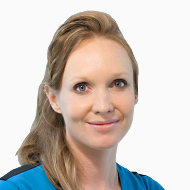 Since 2008, Meghan has enjoyed daily interactions with her patients as a RDH in both periodontics and general practice. She loves to make people feel comfortable in her chair, while helping them to achieve positive changes in their oral health. Outside of work, Meghan enjoys entertaining, good food, her dog Oakley and all things sports! She is also a best selling author whose books highlight the humour in everyday occurrences. She continues to find the humour in life, except of course when cheering on her Winnipeg Jets and Denver Broncos! 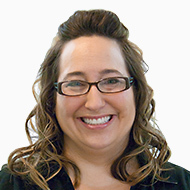 Michelle is one of our most experienced dental hygienists. As a former dental assistant, she has almost 30 years in the dental field, having worked in general and specialty practices both in Ontario and Manitoba. 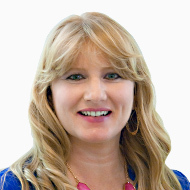 While Michelle enjoys all aspects of dentistry, she found her niche in Periodontics and Implantology. 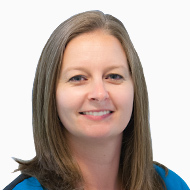 Michelle works at the Graduate Periodontics Clinic at the University of Manitoba during the day and can be found here Monday and Thursday evenings seeing periodontal patients. Michelle thrives on the challenges of the more difficult and involved cases. With her acquired knowledge, she loves educating and motivating her patients to achieve healthier overall wellbeing. When she isn’t working, Michelle is busy helping her husband in their family aerial application (crop dusting) business alongside their three children. In winter you will find her as a “couch coach” for her beloved Winnipeg Jets, especially Mr. Dustin. Michelle also enjoys creating in the kitchen. Whether it is baking or cooking she always adds her special ingredient, love, into everything she does. 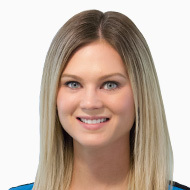 Jamie graduated from the University of Manitoba Dental Hygiene program in 2011 and has been a team member of the Cholakis Dental Group since that time. 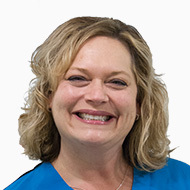 Jamie excels at providing her patients with individualized care and cultivating relationships with the families of her oral hygiene patients. She has a passion for the cosmetic aspect of the dental field and performs all of the in-office teeth whitening for our patients. When not working, Jamie enjoys spending time at the lake, traveling, and staying active by participating in various sports. Born in Winnipeg, Lorraine began her dental education at The University of Manitoba. She graduated as a dental hygienist with extended practice in local anesthetic, orthodontics and restorative dentistry. Since 2005, Lorraine has focused her career in specialty practices which include cosmetic dentistry, orthodontics and prosthodontics. In 2011, Lorraine’s passion for dentistry led her to Southwest Specialty Group where she specializes in the management and treatment of periodontal disease as well as implant care. Southwest Specialty Group has enabled Lorraine to work with some of the top specialists in the field and the latest advances in technology — which translates into providing the highest quality of care to her patients. In her own words, "I really enjoy working with people and developing steady rapport with my patients and staff. Giving the utmost quality care, treatment and education to my patients are of great importance to me and I take pride in treating each and every patient individually for their oral hygiene needs." Tania joined the Cholakis Dental Group team in 2015, bringing with her thirteen years of experience in general practice. Born in Timmins, Ontario, Tania attended Canadore College in North Bay, Ontario, graduating as a Dental Assistant in 1995. 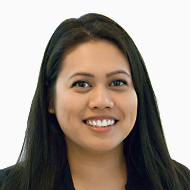 After five years of assisting, Tania decided to become a Dental Hygienist and in 2002 graduated with honours from College Boreal in Sudbury, Ontario. She then moved to Manitoba to pursue her career as a Dental Hygienist. Tania’s continued education, knowledge, and dedication to help patients improve their oral health is a wonderful asset to our office. She also offers our patients the added benefit of being bilingual in French and English! In her spare time Tania loves playing Ultimate and camping in the great outdoors. Liz graduated from the University of Manitoba Dental Hygiene Program in 2015 and has been with Cholakis Dental since early 2016. She enjoys building lasting relationships with her patients while providing quality hygiene care. She is expanding her skill set by providing in-office teeth whitening. When not in general practice, you will find Liz in Kids Dental and laughter filling her room. In her spare time, Liz enjoys scary movie marathons, collecting vintage cameras and reading comic books. Taleisha graduated from the University of Manitoba, School of Dental Hygiene in 2015 and joined the Cholakis Dental Group in 2016. Taleisha enjoys getting to know her patients and helping them achieve their oral health goals. 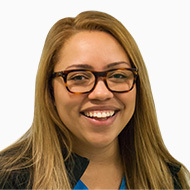 She excels at providing personalized care for each of her patients and has a passion for educating patients and a talent for making them feel as comfortable as possible. In her spare time, Taleisha enjoys camping, reading, cooking and spending time with friends and family. Madelle graduated from the CDI College Level II Dental Assisting Program in 2009 and has been working with the Cholakis Dental Group since that time. 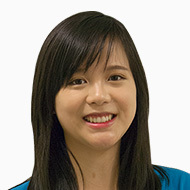 Discovering a passion for pediatric dentistry, she went on to further her education and extend her scope of practice by obtaining her scaling module in 2013, leading to her full-time involvement as a member of the Kids Dental team. In her spare time, you will find Madelle spending time with her beautiful daughter. She also enjoys cooking, baking, and taking her dogs to the dog park.